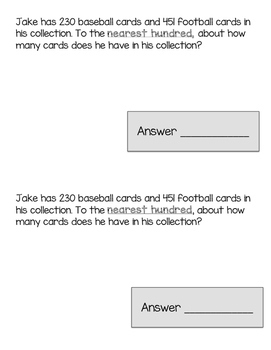 This 12 page assessment is easy to assemble by copying, cutting in half, and stapling to make individual booklets. 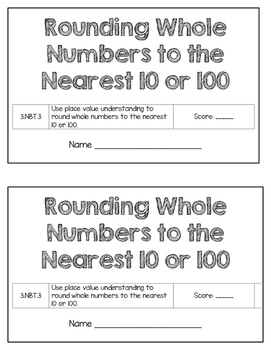 The assessment features problems of rounding numbers to the nearest 10 and 100 with number lines provided. 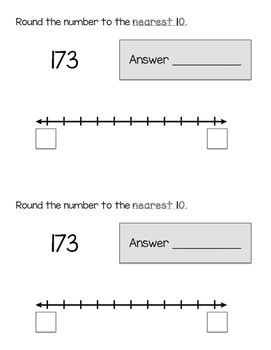 There are also a few challenging problems that give clues to a number that is rounded. 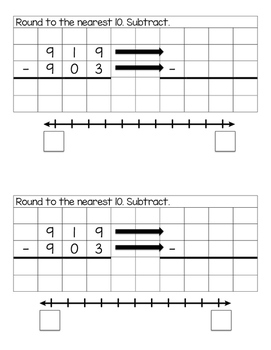 Lastly, there is two 3-digit addition and subtraction problems that require students to round to the nearest 10 and 100.